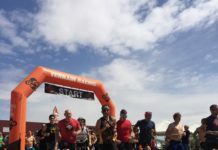 Fun, Fast and Extra Muddy – the SoCal Warrior Dash Review | Mud and Adventure | Outdoor Active Adventures Begin Here. This is definitely the kind of race where, unless you’re trying to qualify for OCRWC, you should bring along friends, family, or anyone who you want to give a soft introduction into the world of OCR. The race itself is fun, then you can hang out and enjoy the festival area afterwards. If you haven’t run a Warrior Dash, or any smaller OCR, you should. Even if you’re a top level elite athlete, just give yourself a break with races like these. 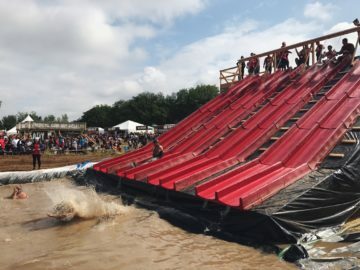 Next articleCommunity Survey: Is Obstacle Course Racing a Sovereign Sport? I am Jay Bode, host of the Overcome and Run podcast. I am pure runner turned Obstacle Course Racer. I ran my first Tough Mudder in early 2015 and have been going hard ever since. I could barely wait the 11 miles to start looking for my next race. In addition to the podcast, I have an amazing wife named Heather who is also an Obstacle Course Racer and the other voice you hear on the show. We are making 2016 our year to grow into the realm of elite racers. As if the show and my wife don't get the majority of my time, I am also active duty in the United States Navy.